The laws of the universe are stated clearly in the higher consciousness of our minds yet we seldom take notice to them. We are occupied with the laws here on Earth. Those put down by people who crave power above all that they instill fear in our hearts with laws and rules that we have to abide by, otherwise we shall be condemned. They have gone so far as to speak in vain of a God who will punish and condemn us in the afterlife, should we choose to think for ourselves, think “outside the box”; the box being a figurative term to mean anything that may question the regulations they have put in place to assume power. Dig deep into the essence of who you are, connect to your source of being. Live from and through your highest potential “your soul” to your lowest potential “your physical body” and you will find that these laws vary because they come from a place of divinity and love, without judgment, without condescension … with purity and the ABSOLUTE TRUTH! 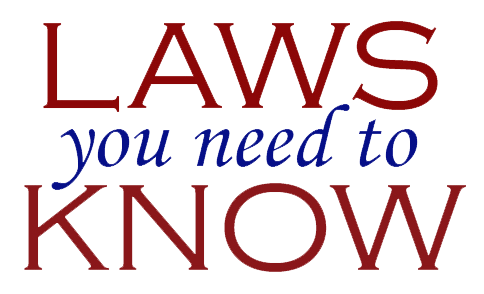 These laws are what will help shape and define your world… your way! For posts, Check out the UNIVERSAL LAWS Category.